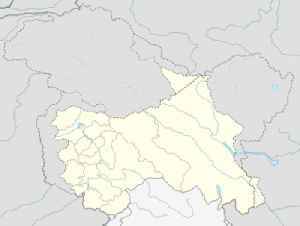 Kulgam is a town, administrative division, and capital of the Kulgam district in the Indian state of Jammu and Kashmir. It is located at a distance of 67 kilometres from the summer state capital of Srinagar. The city is divided into 16 electoral wards that has population of 23,584, of which 12,605 are males while 10,979 are females. Spread over four districts of South Kashmir - Anantnag, Kulgam, Pulwama and Shopian -- the constituency, with an electorate of 13. 97 lakh votes, comprises of 16 assembly segments.